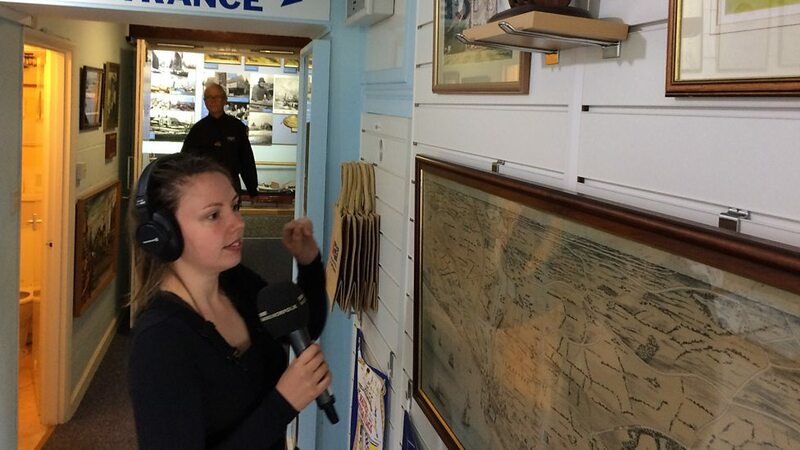 On Sunday the 12th August the museum was a clue holder for BBC Radio Norfolk’s Treasure Quest. The team were starting in Hopton and the Questmaster asked us to have clue 2 to help us publicize our up and coming 50th Anniversary celebrations. Anna Perrott( big band Anna to those of you who listen) was the runner for this Sunday. After maybe going to Time and Tide and other places they finally guessed that they had to visit the museum. On arrival Anna was met by David George the vice chairman who had previously hidden the clue in the drifter cabin. 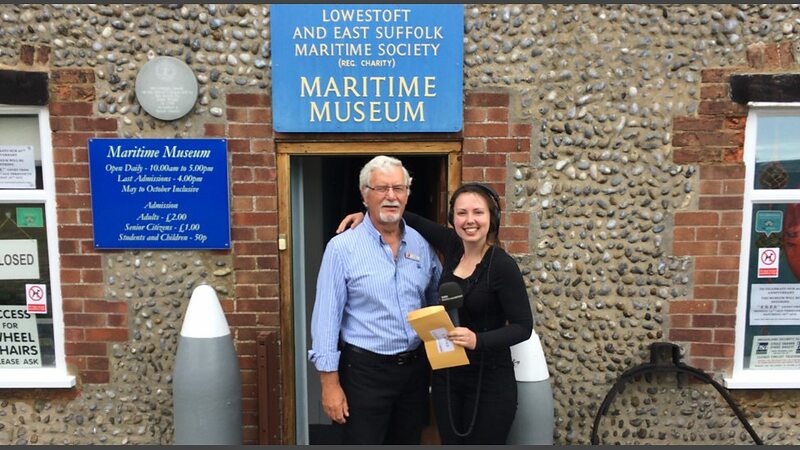 Before leaving us to go to Beccles which was where clue 2 sent Anna and David had a short on air chat about the museums anniversary. Later in the morning in” Treasure Quest Extra time” Paul Hayes the “Questmaster spoke in a bit more detail to David about the museum and its celebrations. 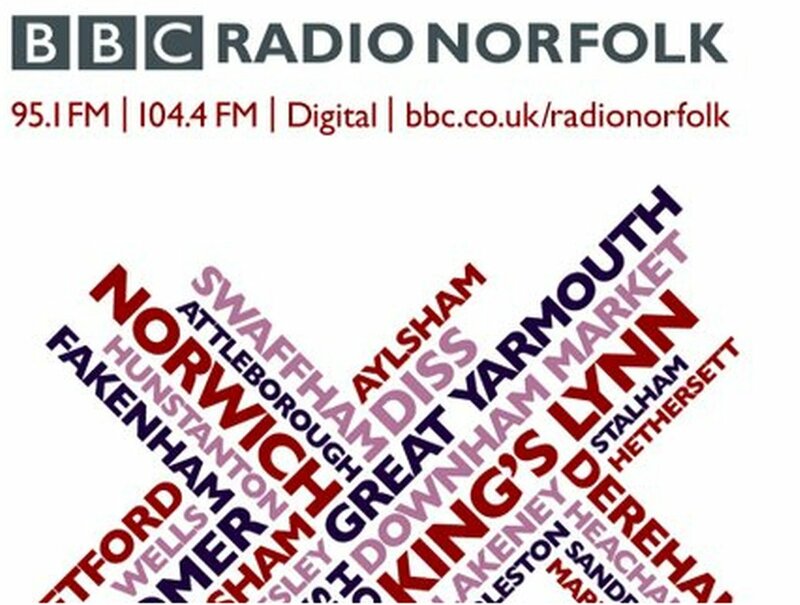 Hopefully the on air publicity will bring us in some more visitors. Anna trying to figure out where the clue is hidden. Clue 2 . 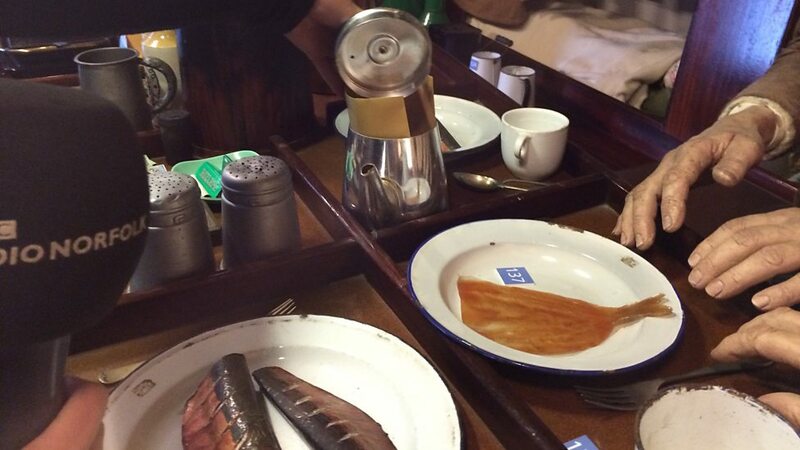 You want a pot of tea? David and Anna outside the museum.